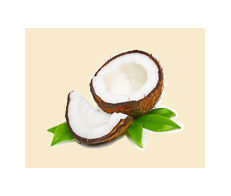 Coconut White Balsamic is wonderfully sweet and pleasingly tart, with natural coconut flavors. Wonderful over pineapple, mango, papaya and berries, it also makes a great marinade for seafood or chicken. Pair it with Persian Lime Olive Oil or Lemon Olive Oil for a wonderful salad dressing.